Thank you to all my wonderful patients! 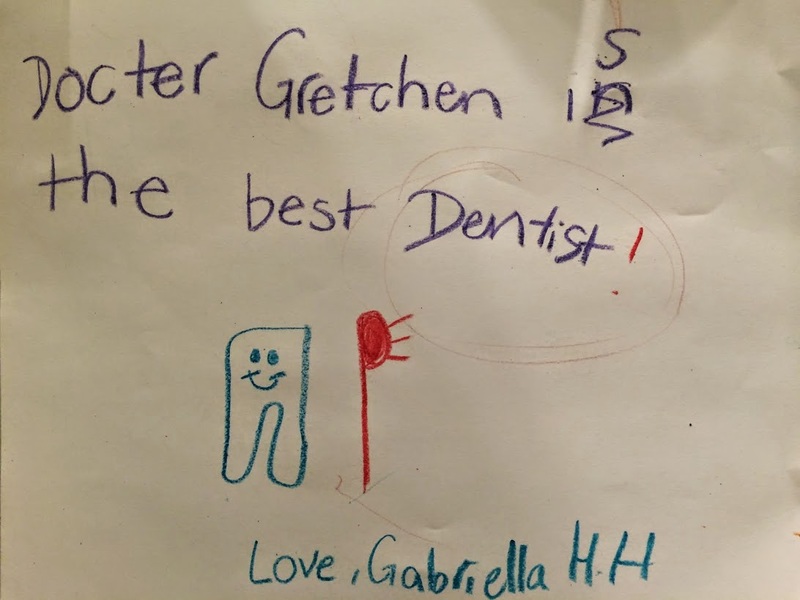 Gretchen Henson’s Practice has been recognized as one of the top New York Dentistry practices. Thank you to our guest blogger, Monica Gomez, for this blog! We have greatly enjoyed developing our practice serving younger patients and those with special needs. It is exciting that so many new techniques and procedures allow us to make such a difference in the lives of our patients. In our practice, we stress the importance of good habits when it comes to great dental health and beautiful smiles. The reality is that there is an increased social expectation for people today to have great smiles and healthy teeth. Starting good dental habits from an early age will have lifelong positive effects in children. The following infographic compiled by Carrington.edu illustrates some of the reasons why proper dental hygiene is so important. Your dental health, and that of your children, is a very important factor in your overall physical health. In fact, the Mayo Clinic stresses just how important regular dental visits are as a part of your child’s preventative health program. The information outlined by the infographic shows us that at least 51 million school hours are invested in the dental needs of children each year. It also shows that adults spend another 164 million hours in the dental chair annually. Dental professionals often speculate on how many of those hours could be reduced if good dental hygiene habits were instilled in more people at an early age. While most people understand the importance of brushing, flossing, and regular exams, they may not full appreciate how their drinking and eating habits can affect their smile. The infographic, for example, shows how certain foods and beverages can rob you of that beautiful smile. While you don’t need to avoid these items altogether, you can mitigate their damage on your teeth by swallowing rapidly and quickly rinsing your mouth with water. Another useful trick is using a straw whenever possible. One counterintuitive point is to avoid damage from the acids in these foods by not brushing for at least 30 to 60 minutes after eating. We are always concerned about keeping appropriate dental care affordable. It is important to note, though, that dental procedures are an investment that generates an attractive return for a lifetime. Numerous surveys underline how important a good smile is to overall appearance and your child’s self-esteem, as well as general physical health. Develop the right dental health habits early and it will likely save a great deal of time and investment in the future. You bring your healthy infant to the pediatrician multiple times in the first year, but less than 1% of infants see a dentist by the recommended age of 1. An infant dental screening is about giving parents the correct information on how to care for baby teeth. Much of the information on baby tooth care found in baby books, the internet and even from the pediatricians is out-dated or incorrect! Cavities are preventable, but prevention needs to start early with the eruption of the first tooth. Putting off proper care until a child is 3 or 4 years old is too late, but early prevention can last a lifetime. At the infant oral screening exam we will cover not only tooth brushing, but also growth & development, medical complications affecting teeth (like ear infections or asthma), feeding issues, dietary practices, speech, trauma, vitamins, toothpaste, and so on. The mouth requires proper cleaning from the very beginning – its no different than cleaning the rest of the baby’s body! Did you know that cavities on baby teeth don’t hurt? If you are waiting for your child to “be ready” to see the dentist, stop waiting! 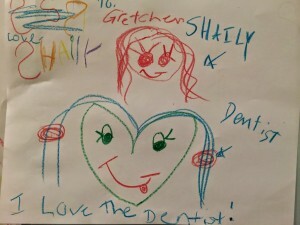 We make the dentist office fun and care for each child uniquely. Don’t allow your own fears to stand in your way, most parents are very surprised how much fun children have at the dentist these days. If you are waiting for your child to complain of a toothache – it won’t happen! 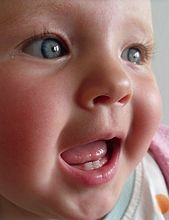 Baby teeth do not have the same complex nerve signals that adult teeth do. 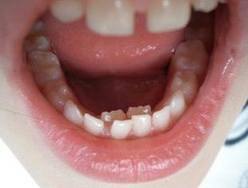 Unfortunately cavities in baby teeth grow silently and are usually very large by the time they are seen with your eyes. By the time a child complains of a toothache, its usually too late to save the tooth and it likely needs to be extracted. Research shows that children most susceptible to dental cavities are very unlikely to receive early dental care. The study surveyed 2505 children aged 4 and found that 39% had never visited a dentist. Less than 1% of healthy children visited dental clinics by recommended age of 1 year and less than 2% of them by 2 years of age. The study further found that never being to a dental office was associated with few factors such as younger age, poor economic condition of the family, prolonged bottle feeding, and daily consumption of sweetened drinks such as juice. Can’t find a dentist who treats infants and toddlers? Pediatric dentists are specialists devoting to treating children, especially those with complex medical needs. This extra training requires years beyond dental school and multiple examinations. You can find a Board-Certified pediatric dentist at ABPD.org. 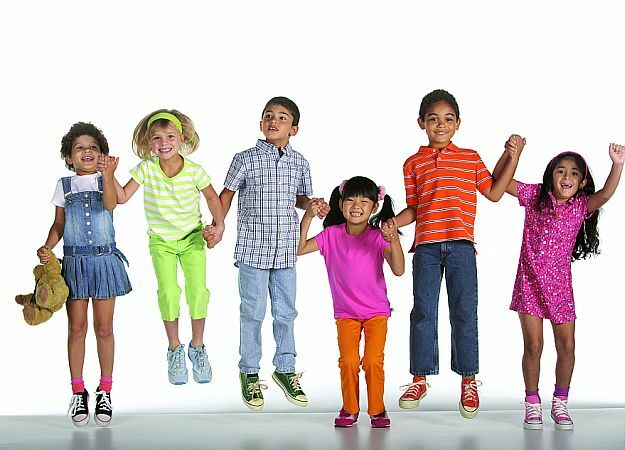 We are happy to see your child at any age. Remember, an ounce of prevention is worth a pound of cure! Anticipatory Guidance refers to all those things I speak to you and your children about at every visit. Some topi cs will make sense right away, like nutrition, while others may seem more obscure, like snoring! 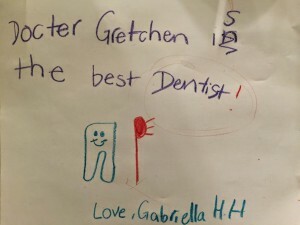 As your child’s dentist, I have the privilege of seeing them frequently (usually every 6 months) and watching them grow. This puts me in a unique situation to address different issues associated with your child’s growth and overall health and well-being. 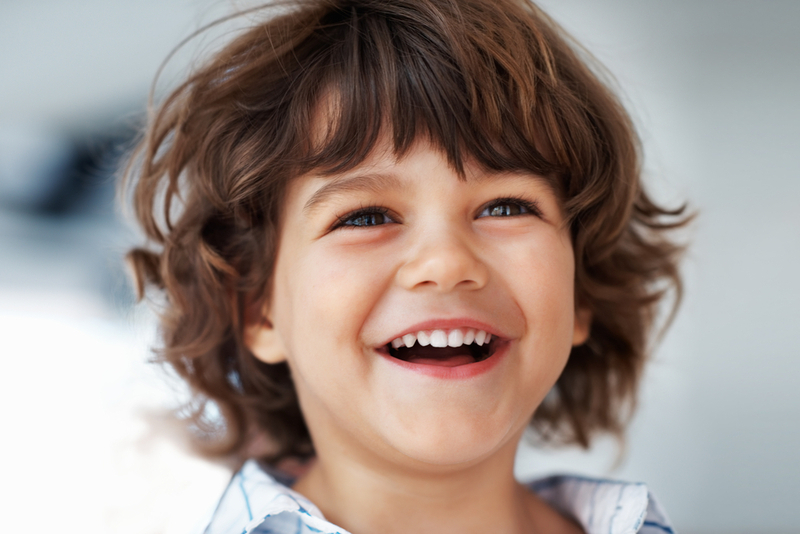 Each dental exam I perform includes an assessment of your child’s growth, both mental and physical. Assessments include reactions to lights, sounds, sensations and touch. Early intervention is essential to your child’s successful growth and we are lucky in New York to have a vibrant early intervention community with world-renowned experts just outside our doorstep! 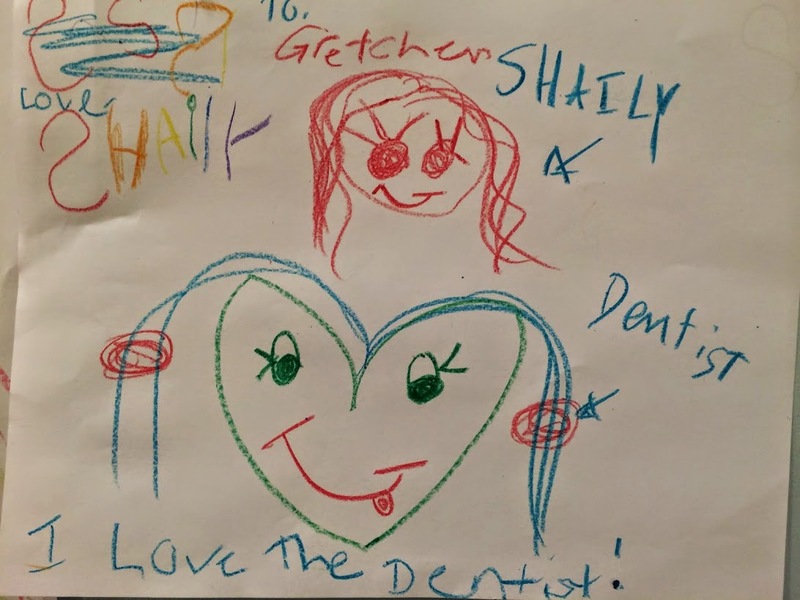 While it may seem to an outsider that we are simply “playing in the dental chair”, a lot of time and thought goes into each interaction I have with your child. As the mom of a child with special needs, I also have a unique perspective on therapy, interventions and how to navigate the school system. Don’t worry, if I have any concerns regarding your child, I will always speak to you right away. Looking forward to seeing you and your child at their next check up! Each time you eat a snack containing sugar or starch (carbohydrates), the resulting acid attack on your teeth can last up to 30 minutes, and a lot of snacks and drinks contain sugar. How much sugar? A single can of pop contains up to 10 teaspoons of sugar, and if you think that natural sugar (like the sugar in juice, raisins or other dried fruit) is better for your teeth it’s not. Sugar is sugar! Soda, juice, candy, dried fruit……. Beat the Clock – foods that are eaten during a meal usually pose less of a threat to teeth because of the additional saliva produced during mealtime eating. Saliva helps to wash food particles from your mouth and lessen the damage from acid. Grazing on snack foods like goldfish, graham crackers, and ‘fruit’ gummies means the mouth is constantly under attack. Give your mouth a break and drink only water between meals. Sugarless gum or mints will also return your mouth to a healthy pH. Brush & floss those teeth – toothbrushing is important, and you should brush twice a day. Did you know that if you don’t floss, you miss cleaning up to 35% of each tooth? Kids need grown ups to help position the floss between molars. Flossing after brushing at night will push the toothpaste into the right spot! If you’re not sure how to floss, just ask! 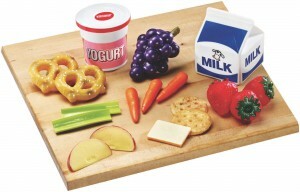 Stock up on Dairy Products – yogurt and cheese, milk and milk products contain things that are good for your teeth. Everything that’s made from milk is a good source of calcium – an essential nutrient for the development of bones and teeth. Some scientific studies have shown that eating cheese actually helps to protect your teeth from cavities by preventing something called demineralization (the loss of important calcium in your teeth). Its National Brush Day! Commit to helping your child under 8 years old brush his or her teeth today! !